Chardons Lo Soli is a quaint French cottage, traditionally-built with original stone floors and walls, which have been beautifully restored. What it lacks in size, it more than makes up for in rustic charm and convenience of location. 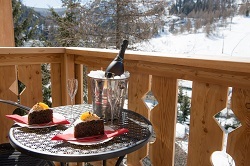 Located a stone’s throw from the main lifts and slopes back into Tignes Les Brevieres, Chardons Lo Soli has amazing views of the surrounding mountains from its balcony and garden. As with all Chalets provided by Chardons, Lo Soli offers the perfect blend of amazing value accommodation, a great atmosphere and an absolutely delicious menu. Our chef, host and management team will ensure that your holiday is truly memorable and relaxing. 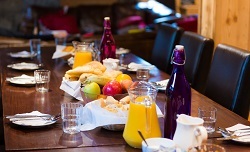 Every day we offer a hearty breakfast with continental and hot options, including pastries and freshly baked bread. 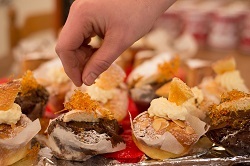 When you return from your day’s activities you’ll find afternoon tea ready and waiting for you, to ensure you don’t go hungry before the magnificent 5-course evening meal, including cheeseboard and port. 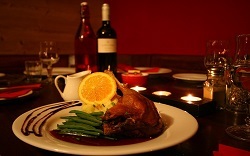 Quality French bottled wine will also be served throughout dinner for a true Alpine experience. Chardons Lo Soli offers accommodation over 2 floors and a mezzanine area off the living room. 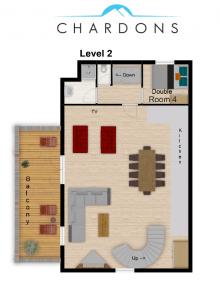 The ground level is built on an original stone floor and has 2 double bedrooms and a bunk room (please note the bunk room is very small and is only suitable for children). There are also shower facilities, two WC’s and a ski and boot storage area. Up the beautiful handmade spiral staircase to the first floor, you’ll find another double room and further WC/Shower facilities. 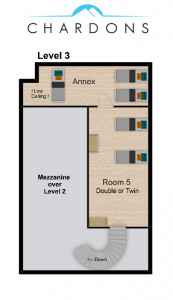 The open kitchen and lounge area is also on this level and boasts an open fire and balcony. 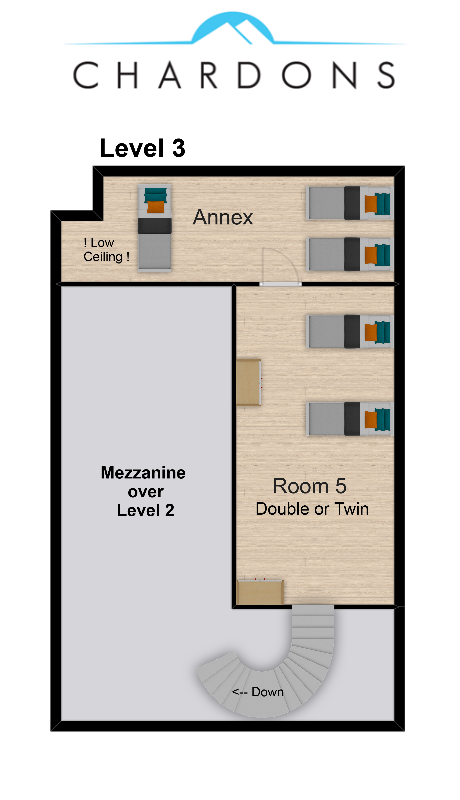 There is then another double/twin room on a mezzanine level with separate dressing area, which can also be used for an additional 3 beds if required (please note this mezzanine area is open-plan to the dining room, so can have noise issues if you are part of a rowdy bunch. Consideration should be also given to any guests who struggle with steep stairs). Whilst not being large in size, the bedrooms in Lo Soli offer guests the chance to experience staying in a true Alpine cottage, full of original rustic features and charm. 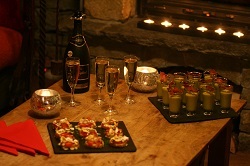 The Chalet has a real French country kitchen and the open fire ensures a warm and cosy atmosphere after a long day on the slopes. 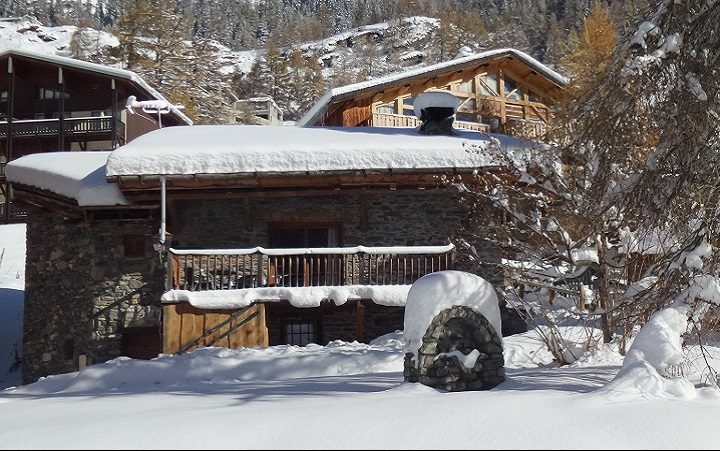 This beautiful, quaint chalet is perfect for a family winter holiday, or for a group of friends looking for a great base for relaxing after a day of skiing or snowboarding around the amazing Espace Killy. 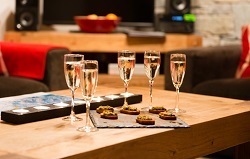 The intimate nature of the chalet, with shared bathroom facilities, and the open-plan mezzanine floor within the living area, means this chalet will not be offered on a room-by-room basis, and so groups and friends and families can relax in their own private and exclusive space. As a new chalet to the Chardons family, this area will be filled up very soon! 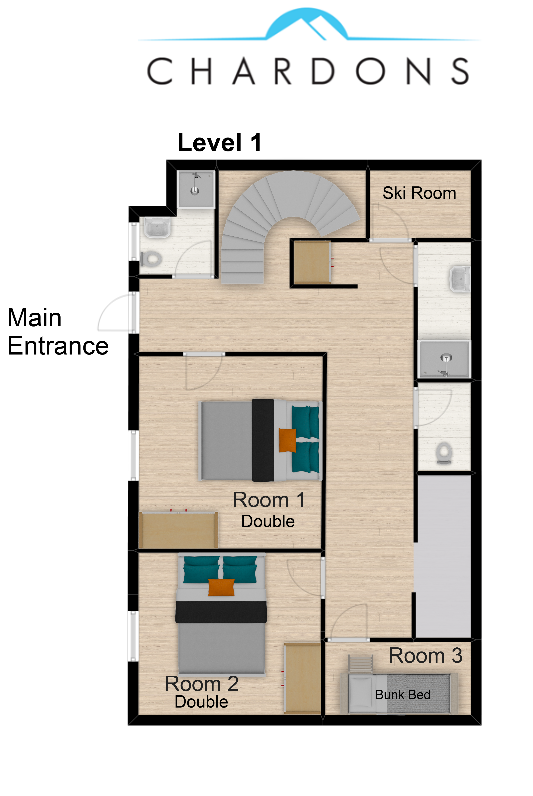 The chalet comfortably sleeps up 9 adults in separate rooms (with the ability to sleep x 13 using the bunk room and 3 extra beds if the dressing area off the mezzanine floor is converted into a twin room for larger groups). 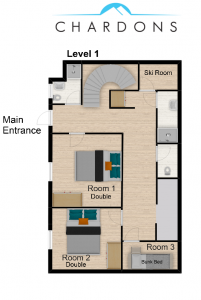 If the whole chalet is booked these additional beds are half price making the overall group price for the whole chalet at a very competitive rate. (Please note the dressing area has very low ceilings). Shared WC/Shower facilities with Room 4 on 1st floor.